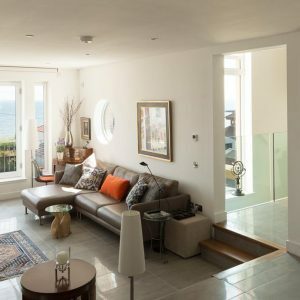 A house with great living spaces, with a strong connection to the spectacular landscape (and seascape) beyond. 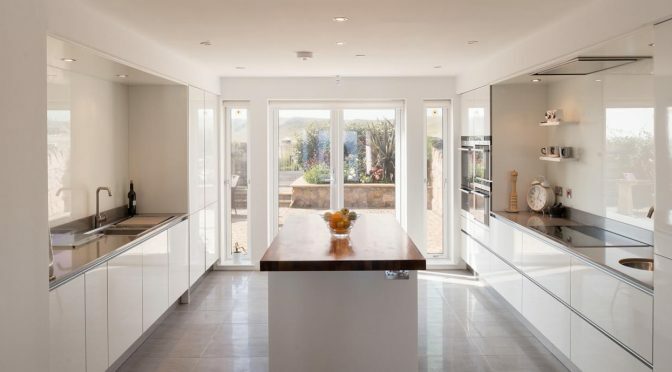 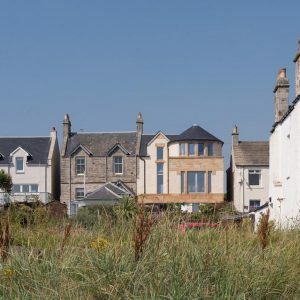 Located in a conservation area, this sloping site was occupied by an existing house in a state of considerable disrepair, so extensive that the only feasible option was to demolish the existing property and rebuild. 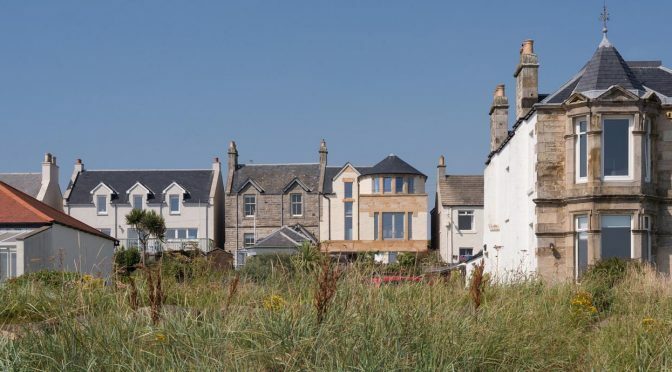 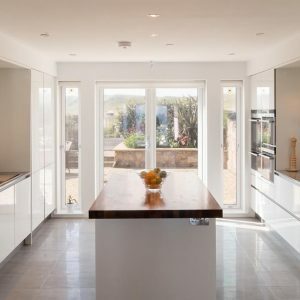 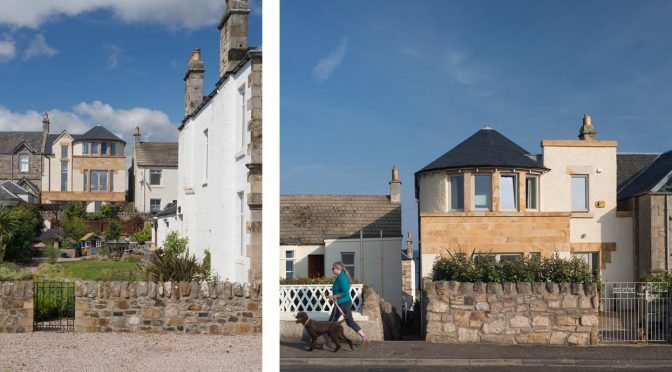 The design provides accommodation over three levels on a tight site close to the sea shore in this East Neuk of Fife village. 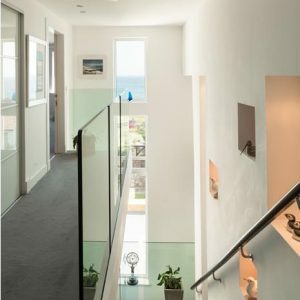 Entrance to the property is possible to the middle floor from the north and to the ground floor from the south. 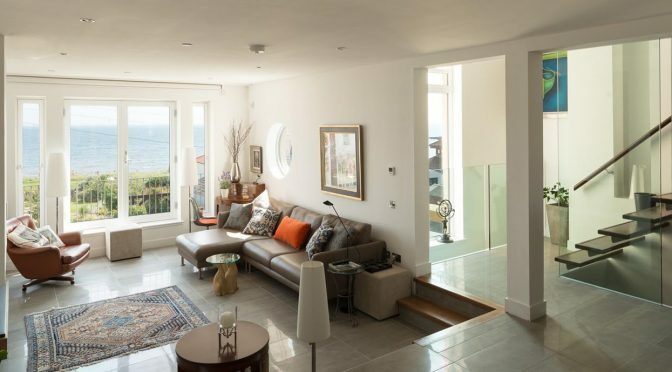 The open plan accommodation on the mid-level is complemented by bedrooms on the lower and top floors as well as a playroom, laundry, storage and a second sitting room. 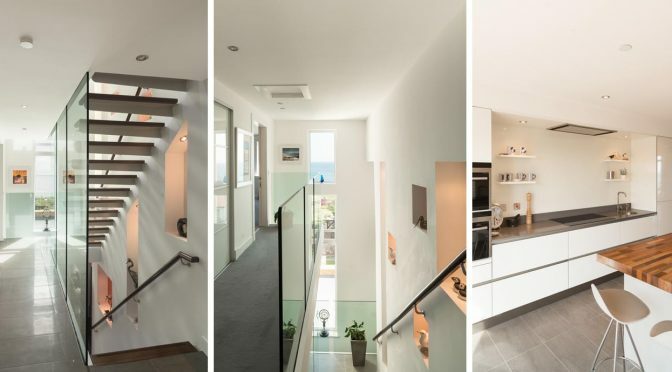 A striking modern stair provides a feature linking the different levels. 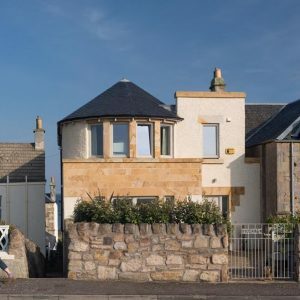 Externally the design, whilst contemporary, has a slightly softer traditional quality and the palette of materials includes natural slate and render with natural stone detailing, all in keeping with the prevailing aesthetic of the conservation area.